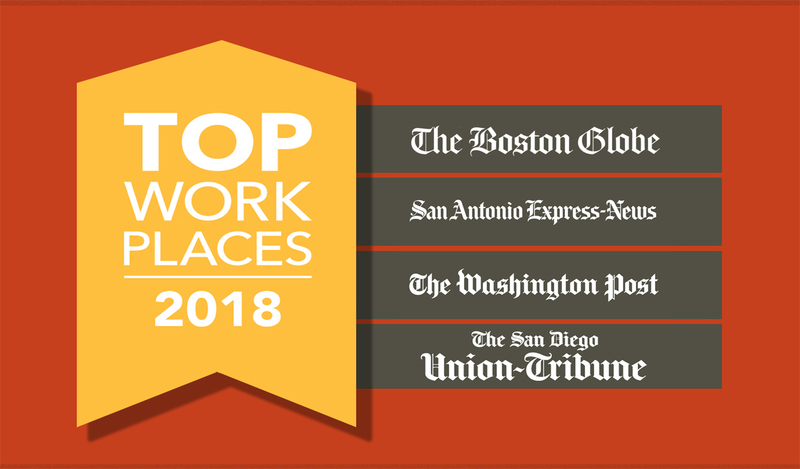 Bedford, Mass., November 19, 2018—MITRE Corporation was named a top workplace by the Boston Globe and San Diego Union-Tribune, according to lists published by the two newspapers this month. MITRE has been featured on the Boston Globe list for 10 consecutive years. MITRE’s San Antonio, Texas, location received this honor from the San Antonio Express News in October, and its McLean, Virginia, location was honored by the Washington Post for the fourth year in a row in June. MITRE operates by strong values and ethics. Energage’s survey measures aspects of workplace culture including alignment, execution, and connection. MITRE's mission-driven team is dedicated to solving problems for a safer world.